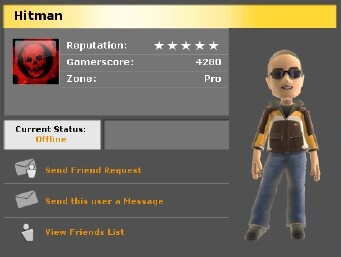 Looks like you Xbox Live-ers are a bunch of fashionistas: According to Microsoft, Xbox Live Avatars have changed their outfits 150 million times since the NXE launched last November. Numbers had been crunched from the results of 425 million games for matchmaking purposes, there were 200,000 games of 1 vs. 100 played every weekend, and there have been 150 million Avatar clothing changes since the feature was introduced last November as part of the New Xbox Experience. With 20 million Xbox Live users, simple division gives us an average of 7.5 costume changes per Xbox Live account. Since I know I've never changed my outfit once (must be bad habits left over from college), that means at least one of y'all has changed your Avatar outfit at least 15 times. What do you think this is, a Broadway musical? I mean, nothing wrong with wanting to have the prettiest Belle of the Ball (er, prettiest Avatar of the Arcade?) but there's a point at which it just gets a bit silly.